SALT LAKE CITY — University of Utah Health and Intermountain Healthcare are teaming up to give $500,000 over the coming year to Mountain West Mothers’ Milk Bank in founding sponsor donations to provide core funding to help the organization fulfill its mission of promoting infant health and nutrition by screening, processing and dispensing donor human milk. Each health care system is donating $250,000. Mountain West Mothers’ Milk Bank, a nonprofit organization, has sites established in Utah and Idaho to collect donated milk. Collected milk is sent to the nearest nonprofit human milk bank, Mothers’ Milk Bank (a program of Rocky Mountain Children’s Health Foundation) in Denver, Colorado, for processing and distribution. 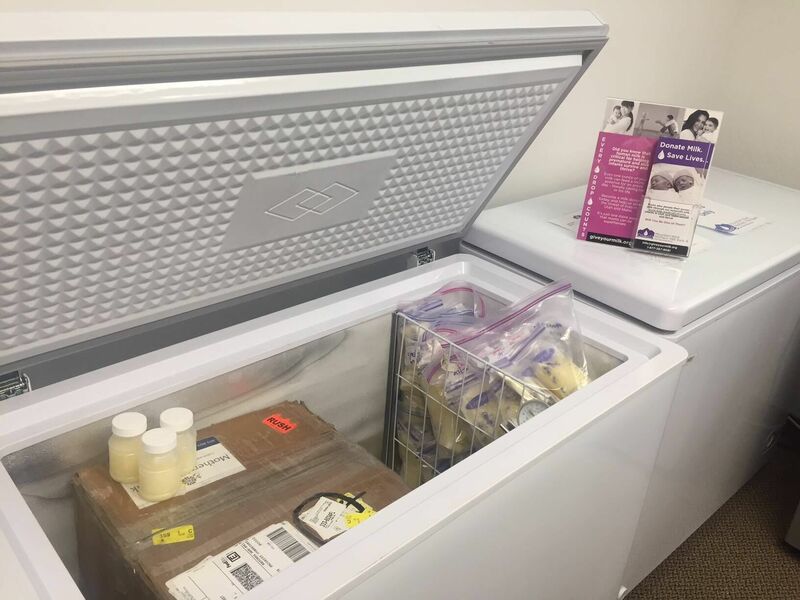 Mountain West Mothers’ Milk Bank is only months away from becoming a fully-operational milk bank in Utah, which will allow the organization to better serve all hospital newborn intensive care units throughout the region, according to a press release from the milk bank. The founding sponsor funding from Intermountain Healthcare and University of Utah Health support milk bank move into a new, larger facility, as well as for a facility build-out, equipment and operational support to conduct human milk pasteurization and milk distribution here in the region. The organization’s target is to be moved in and have pasteurization up and running by mid-summer. Only 30 percent of newborn ICU mothers can supply enough milk for their premature infant. Milk banks are there to support the other 70 percent who either cannot express any milk or express quantities too low for infant sustainability. Milk banks screen high-producing donors, collect, pasteurize and test the milk to assure quality and safety for newborn ICU infants. They then send the pasteurized milk to newborn intensive care units and special care nurseries for infants in need. Milk banks also work to increase breastfeeding rates, and advocate for nursing mothers. An exclusive human milk diet allows preterm infants to tolerate and advance to full feedings faster, go home sooner and experience fewer complications. In addition, a major life-threatening complication experienced by preterm babies, necrotizing enterocolitis, may be reduced by almost 80 percent. Use of donor human milk rather than formula to supplement premature infants’ diets can thus be lifesaving. Contact the Mountain West Mothers’ Milk Bank for further information. Toll free donor contact number: 1-877-367-9091. | Email: [email protected] | Website | Facebook | Instagram | Twitter.